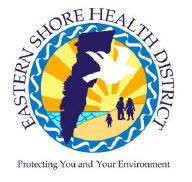 (ACCOMAC, Va.)— The Eastern Shore Health District continues to receive reports from the community that show influenza season is not yet over. Influenza, commonly referred to as “the flu,” is a contagious respiratory illness caused by influenza viruses that infect the nose, throat, and lungs. Influenza spreads mainly from person to person by droplets from the nose or throat that are released when an infected person coughs or sneezes. Sometimes, people may become infected by touching something with influenza virus on it and then touching their mouth or nose before washing their hands. The infectious period begins up to 1 day before symptoms start and can last for about 5-7 days. If you become ill with fever, sore throat and/or cough, health officials urge you to stay home and avoid contact with other people. Most people are able to recover at home and do not need to be tested during peak flu season. Your primary care provider encourages you to call by phone if you have any questions and can advise you if you or your child needs to be seen in the office. Young children, adults aged 65 years and older, pregnant women, and people with certain chronic medical conditions are among those groups of people who are at high risk of serious flu complications, possibly requiring hospitalization and sometimes resulting in death. For example, people with chronic lung disease are at higher risk of developing severe pneumonia. Sinus and ear infections are examples of moderate complications from flu, while pneumonia is a serious flu complication that can result from either influenza virus infection alone or from co-infection of flu virus and bacteria. Other possible serious complications triggered by flu can include inflammation of the heart (myocarditis), brain (encephalitis) or muscle (myositis, rhabdomyolysis) tissues, and multi-organ failure (for example, respiratory and kidney failure). Flu virus infection of the respiratory tract can trigger an extreme inflammatory response in the body and can lead to sepsis, the body’s life-threatening response to infection. Flu also can make chronic medical problems worse. For example, people with asthma may experience asthma attacks while they have the flu, and people with chronic heart disease may experience a worsening of this condition triggered by flu. Anyone with serious complications should seek emergency medical care as soon as possible. It is not too late to receive the seasonal influenza vaccine if you have not yet. Being vaccinated annually not only protects the person who receives it but also can prevent the spread of influenza in the community and protect those who are most vulnerable. For more information about influenza, please visit https://www.cdc.gov/flu/.